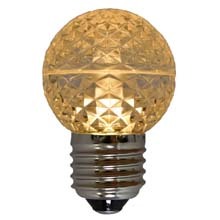 C7 LED faceted warm white lens style creates a sparkle and high visibility bulb. 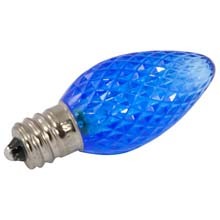 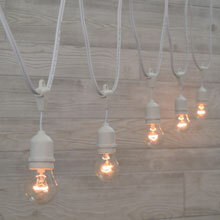 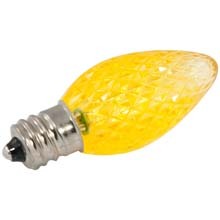 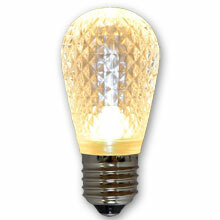 Save in energy (LED's use up to 92% less energy) and replacement cost (LED's last up to 50,000 hrs). 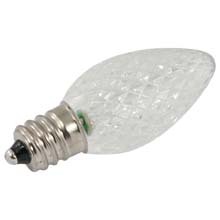 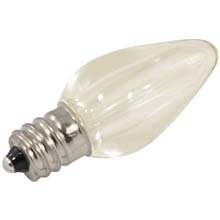 Direct replacement or retrofit for incandescent C7 bulbs with a E12 candelabra base. Use C7 ultra long life LED retrofit bulbs to run full bulk reel lengths (1000 feet!) from just one plug. 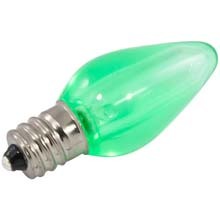 to your retro style Christmas string lights.